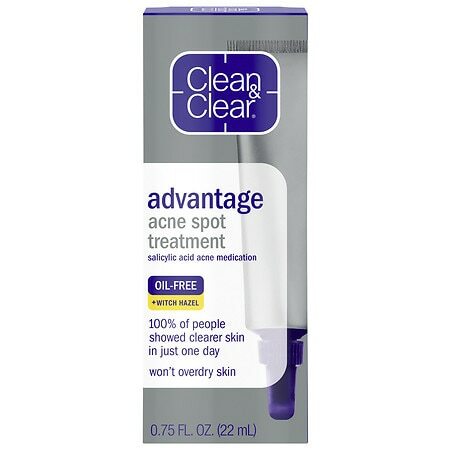 How you go about treating acne will largely depend on what type of acne you have. Treating light, inflammatory acne, for example, may simply be a matter of spot treating or adding a new over-the-counter cream to your skin care regimen. Both inflammatory and comedonal acne can be painful and embarrassing, but fortunately, there are a number of treatments that can improve its appearance. For over-the-counter options, look for face washes, creams, or serums that contain either salicylic acid or benzoyl peroxide -- both products that dry the skin and eliminate acne. Salicylic acid is best for taking care of blackheads because of its exfoliating effect while benzoyl peroxide treats general acne and cystic acne much better. Proactiv is likely the most famous product containing benzoyl peroxide and can work excellently for those with moderate to severe inflammatory or comedonal acne. The treatment options listed above may work for hormonal acne, but there is one other option that should be considered as well. Because hormonal acne is largely a woman's issue that takes place in a woman's late 20s or 30s, taking a hormone-balancing birth control pill can often put things in check and keep this form of acne at bay. Finally, because cystic acne may develop because of an actual infection deep below the skin, it's important to go straight to professionals for help. In these cases, topical treatments like Proactiv may be of some assistance, but most of the time, a prescription medication is necessary. One product that is excellent for treating cystic acne is Retinol. Retinoids like Tazorac, Differin, Renova, or Retin-A work wonders at unclogging pores. Keep in mind that most effective retinoids require prescriptions. In some cases, a retinoid may also be combined with a prescribed oral medication as well. Erythromycin, tetracycline, or doxycycline are oral meds for cystic acne that will kill inflammation-causing bacteria. In addition to following the treatment methods listed above, it's also important to develop a sound skincare routine that you can follow daily. Most topical treatments require tending to your skin in the morning and at night. So first of all, make sure to set aside at least 15 to 20 minutes at both of these times. Generally speaking, you'll want to wash your face with a cleanser, pat dry, apply a serum or cream that contains an active ingredient for treating acne (like benzoyl peroxide or salicylic acid), let that dry, and finish with a non-comedogenic (non-pore-clogging) moisturizer. By honing your skincare routine and treating your skin with one or several of the required treatments listed above, you'll see a dramatic difference in the quality of your skin. Finally, don't remember that if these methods still don't work to treat your acne, making an appointment with a reputable dermatologist should be your next step.